After seeing an interesting looking old tree, with some interesting looking hollows, which was leaning over on an angle, we thought it might worth trying something a bit different and pointing a remote camera at it. Not expecting much of a result, it was great to find that it is a busy spot for some of our small mammal species. 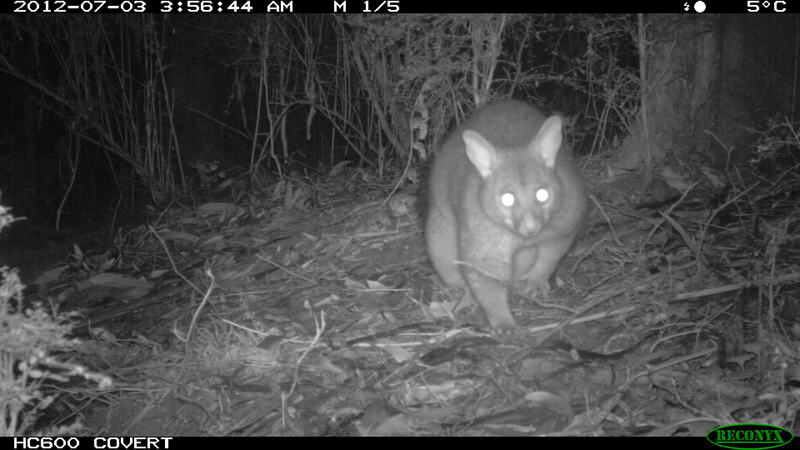 Antechinus, Bush Rats, Brushtail and Ringtail Possums were all regular users. It was very exciting to also photograph some Sugar Glider activity, this is the first time we have managed to get a shot of one with our cameras. The tree trunk in daylight. I have produced some stats to go with the latest update from our remote camera sites, hopefully it adds to the information we are getting from the monitoring sites. 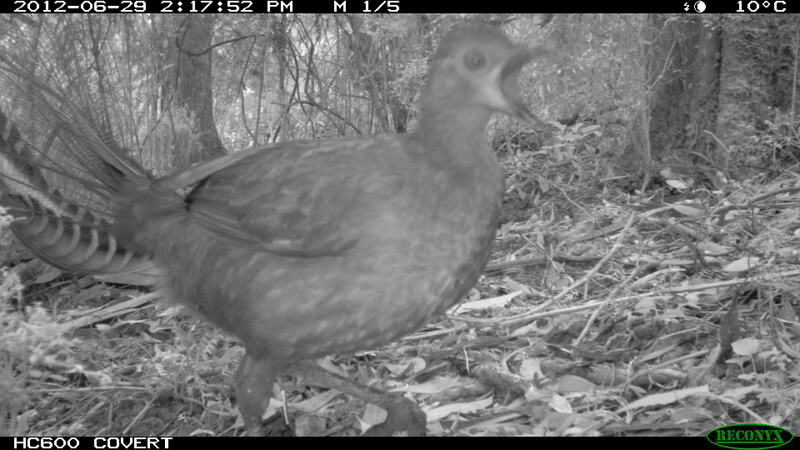 Camera 1 was but back in action after the Lyrebird attack a bit later than the others. It was placed around one of the original camera sites in a location I will call Balook Central. There was an alarming amount of Fox activity at this Camera, also no sign of Long-nosed Bandicoots which have been common at this site before (hopefully the 2 factors are not related). Note that in each graph when I am talking about Brushtail Possums it could be either the Common Brushtail or the Mountain (Bobuck) variety. I am not sure that it is possible to tell them apart from the remote camera photos. Camera 2 – Had a lot of bird activity, with lots of little brown birds that given their size, picture quality or the way they were facing, they were often hard to positively Identify. But there was certainly one or more active White-browed Scrub-wrens. The site was relatively quiet compared to past results. A tree branch falling in front of the Camera half-way through the monitoring period may have been a reason for this. No sign of any Bandicoots but plenty of Antechinus and other Rodent species (probably Rattus fuscipes – Bush Rat ) but hard to identify just with the photos. Anthechinus have pointed snouts and their ears are thin with a notch in the middle. Rats have rounded ears. Sometimes it was impossible to tell whether it was an Antechinus or a Rat from the photos so in those instances, I have just called them unidentified small mammals. Camera 3 – Had a lot of Small Mammal activity but not so many larger ones. Possibly due to the camera positioning and location. 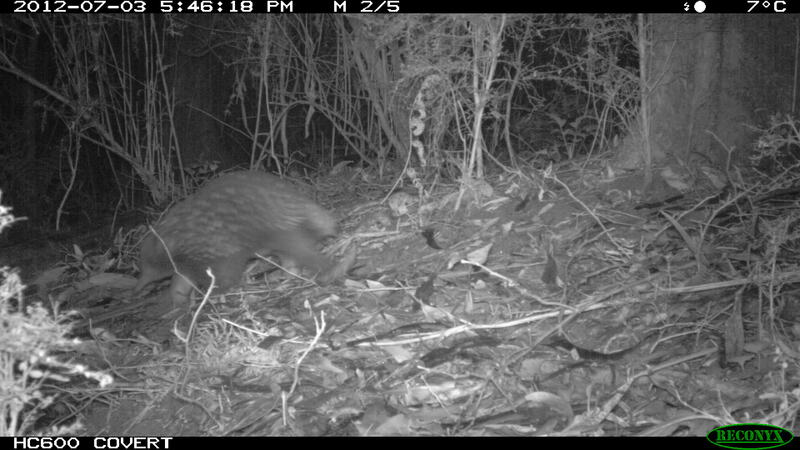 Lots of good shots an Antechinus Species (Could either be the Dusky Antechinus or the Agile Antechinus but impossible really to tell them apart from the photos. The Rattus species are probably Bush Rats, one way to tell is by their tail length, which in native rats is usually shorter than their body length. Monitoring Results for Tarra Bulga South Central site. Camera 4 – I thought there must have been some sort of camera malfunction when I collected this camera from the field, there were over 9000 photos on the card. After looking through I found that the camera was working fine it was just an extremely busy site, especially for Swamp Wallabies, where as you can see by the graph they visited the site over 250 times over 2 months. Many times it was the same Joey with its family group which made for some cute photos with it bounding around. The site was in a fairly open clearing so it must have been a really favorite camping spot for them. 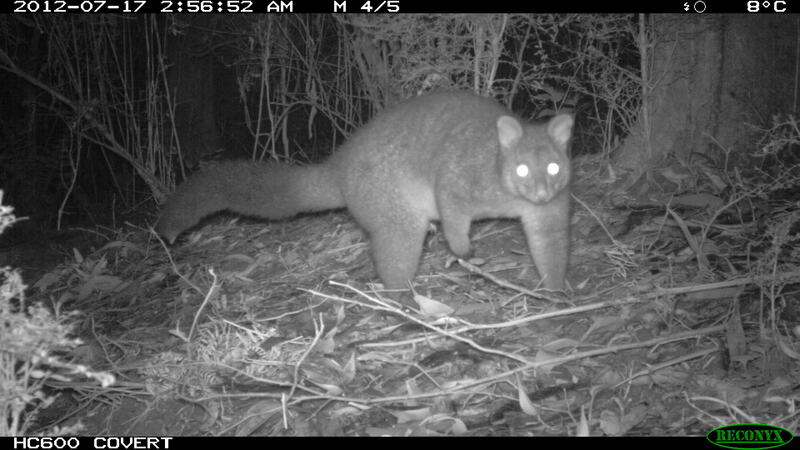 In one situation a Swamp Wallaby was photographed while a Brushtailed Possum looked on from a tree trunk. 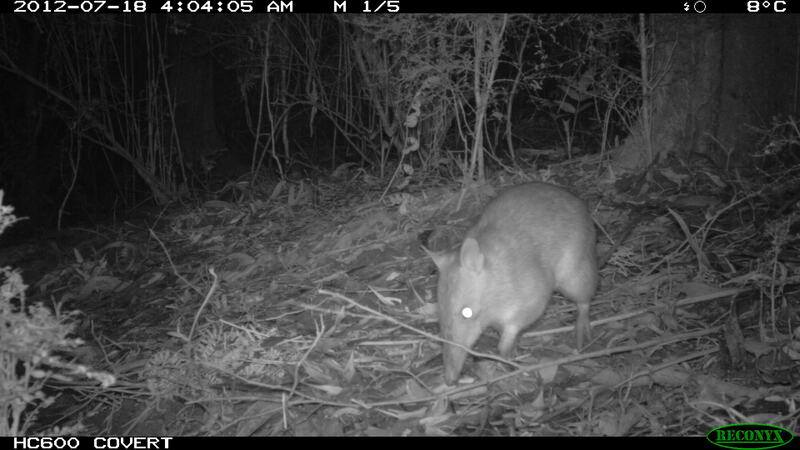 In addition to the Wallabies, we had Long Nosed Bandicoots and Lyrebirds. Look for the photo when a Lyrebird goes past and then a minute later a Fox is seen leaping through the air in the direction it went. Also look for the photos of the Fox with some prey in its mouth, I can’t tell what it is but it is about Bandicoot Size. Also a fair bit of Feral Cat activity at this site. Camera 5- This camera was obviously pointing at a favourite habitat for Bassian Thrushes, as they were the most common species here. They are often hard to spot in the photos as they are well camouflaged. Camera 6- This site is on a ridge amongst large Tree-ferns, with a thick leaf litter. It has lots of Lyrebirds scratching around and plenty of Foxes prowling around. Tarra Bulga North West Remote Camera Species Count. Camera 7 – This site, although mainly scrubby and lacking in canopy trees, had a lot of activity as can be seen from the graph. Our best site for Long-nose Bandicoots this time and plenty of Lyrebird activity. 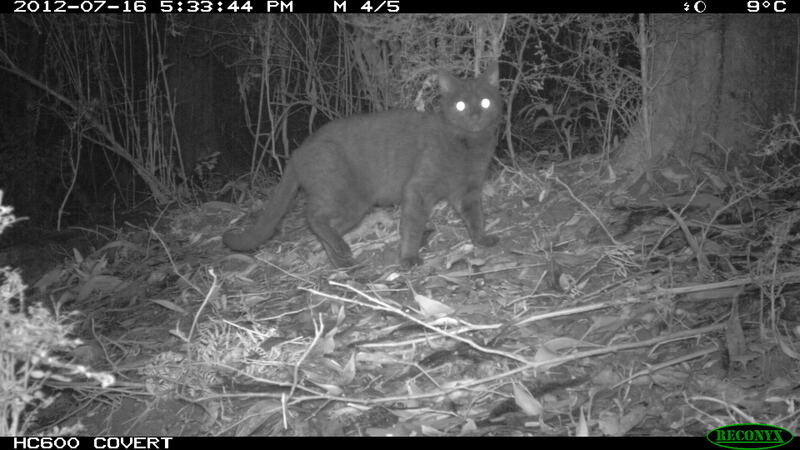 Camera 8 – This area seems to get a Ring-tailed possum every time we put a camera around there. Not as busy as some of the other sites but it had a good mix of species with not too many introduced predators visiting. 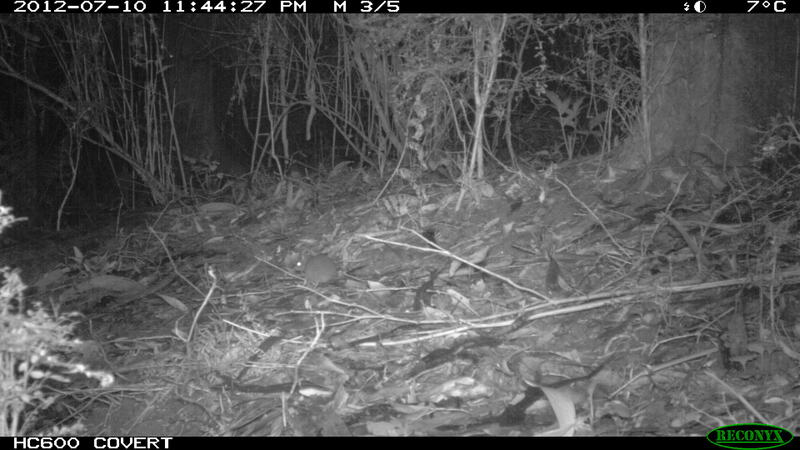 Interestingly when I got to the camera out of the ground litter popped a real live Antechinus which did a couple of little circuits only a couple of metres from where I was standing before it disappeared again, just as I had my (regular) camera ready to shoot. 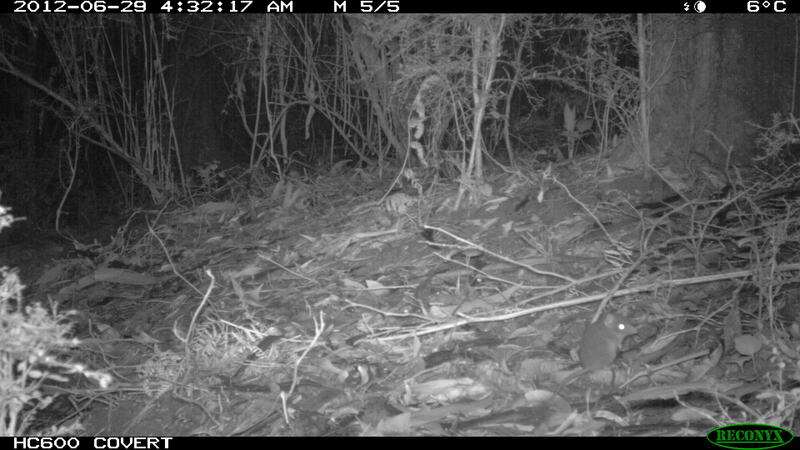 Most likely it was a Dusky Antechinus which are said to be more likely to be active during the daytime (as opposed to the Agile Antechinus). 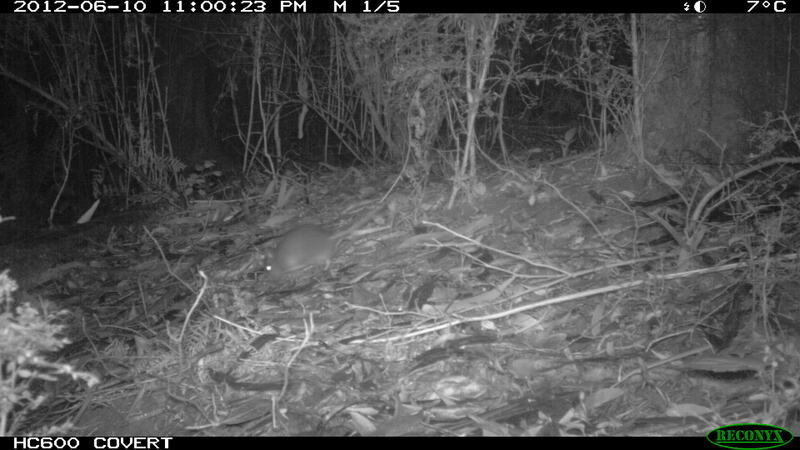 Amazingly there was not one confirmed photo of an Antechinus on the Remote Camera that had been at that site for 2 months. This table shows the combined number of species results for all cameras over 2 months.